Do you ever feel like you can’t get ahead financially? If so, you might be wondering how you can set aside a little more cash. Take a look below at some fantastic ways to get started. 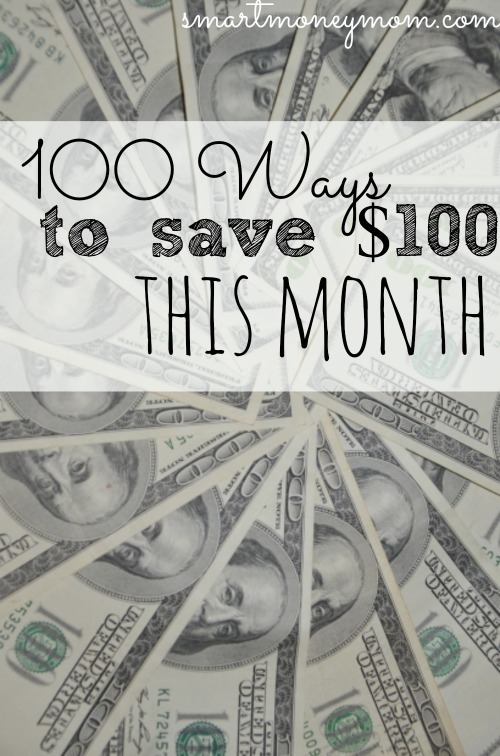 Below you will find 100 ways to save $100 this month. These tactics are easy, realistic, and great ways to save some cash! 1. Clip and use 100 coupons at $1 each. Just using 25 coupons each week at this rate saves you $100. 2. Skip the fancy coffee drinks. Just 20 drinks a month at $5 each saves you $100. 4. Use coupon codes when shopping online. Do this 10 times at $10 each and save. 5. Negotiate your utility bills. Call and ask the companies for a better rate. Four bills at $25 each adds up! 6. Pack your own lunch. Skipping a $5-$10 take out lunch adds up quickly. 7. Skip dining out just 4 nights a month. At $25 each, you have easily saved $100. 8. Buy second hand clothing. Skip one trip to the mall and go second hand instead and save. 9. Buy second hand toys. Do the same, skip the toy store and buy secondhand toys instead. 10. Buy second hand home goods. Just like before, skip the pricey shops and buy second hand for extra savings. 11. Raid your stockpile. Instead of buying more, use up what you have available. 12. Stack your savings. Stack manufactures coupons with store coupons and sales to triple your savings. 13. Drop your cable. Drop cable for a month and use Hulu or Netflix instead. This step easily saves you $100! 14. Drop internet. Use free wifi spots instead and shave a nice chunk of change off your monthly utility bills. 15. Hit up the Red Box. Instead of treating the family of five to two movies a month at $10 or more a ticket, stop by the Red Box and enjoy a movie for around $1. 16. Have a change jar. Have each family member dump their change in daily and watch it add up. 17. Bank your raise. If you get a raise don’t look at it as a windfall, save it instead. 18. Create a dollar bill jar. Like the change jar, have each member toss in the dollar bills on them at the end of the day. 19. Play the number game. Pick a number, then any bill in your wallet that has that number in the serial number goes into savings. No cheating! 20. Have your bank help. Set up an automatic transfer that goes from your checking account to your savings each month. 21. Have your bank round up your debit purchases and put the difference in a savings account. 22. Don’t use just any credit card. Use cash rewards credit card and earn money each time you spend. 23. Forget impulse purchases. Be strong and talk yourself out of them. It will be worth it when those savings add up. 24. Find a savings buddy. Having support and someone to talk to about saving money is so beneficial. 25. Quit smoking. 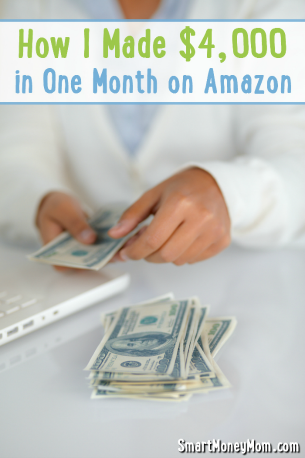 This is an easy and healthy way to save a ton of cash each month. 26. Not a smoker? Quit any habit that seems to be draining your account. Whether it be shopping, alcohol, or DVDs. 27. Enjoy free friend time. Don’t meet a friend at an eatery for lunch, enjoy time chatting on a nature hike instead. 28. Save your rebate checks. Any rebate checks you earn should go right in the bank. 30. Try a bad habit jar. If you like to swear, smoke, or shop, make a jar that you need to put money into each time you do one of these habits. 31. Let your children inspire you. Know that each time you avoid an impulse purchase; you are making life better for them. 32. Learn to cook from scratch. Get free cookbooks at the library or online to help. 33. Learn to do your own home repairs. Youtube is a wonderful reference. 34. Take online surveys. 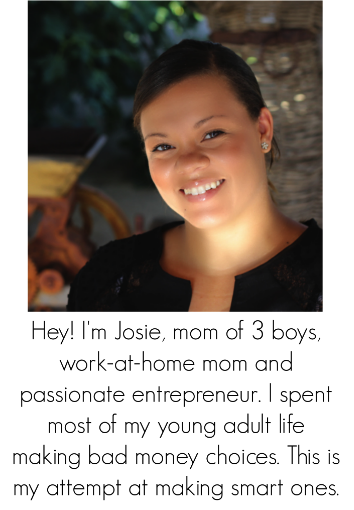 This is a great way to earn extra cash that you can place in savings. 35. Rent a tool instead of buying it from the home improvement store. 36. Take free crafting classes offered at libraries instead of in store. 37. Shop at a discount grocery store such as Aldi or Save a Lot. 38. Do your own manicures each month instead of going to a salon. 39. Touch up your own hair coloring in between treatments to make it last longer. 40. Upcycle an old furniture piece into something fresh instead of buying new. 41. Drop the gym membership and work out at home to free DVDs. 42. Learn a new language online using free programs instead of a pricey store bought program. 43. Opt for early bird specials at local eateries instead of high evening prices. 44. Rent a carpet cleaner instead of having professionals do it. 45. Use a free tutoring program at a local college instead of hiring a pricey one. 46. Have your shoes repaired instead of tossing them and buying new. 47. Opt for free local concerts instead of costly events. 48. Be an usher at a local theatre so you can enjoy shows for free. 49. Find the common clearance aisle at your local grocer and be sure to frequent it. 50. Shop at outlets to for clothing instead of the mall. 51. Take free online tutorials and classes to learn a new skill instead of community classes. 52. Always ask if there is discount for paying cash before you buy anything. 53. Always ask if there is a rewards program before making a purchase. 54. Avoid fast food drive thrus. Go home and make a healthy snack instead. 55. Carry a water bottle instead of buying bottled water. 56. Invest in a soda stream machine instead of buying soda each week. 57. Dehydrate your own fruits and veggies for healthy and cheap snacks. 58. Learn how to make simple repairs to clothing instead of buying new. 59. Find a friend good with computers to make any repairs you need. 60. You can also do the same for those pesky car repairs. 61. Buy in bulk when you can. It often saves you cash. 62. Watch your accounts carefully for errors. These add up to costly mistakes each month. 63. Set a dollar limit on gifts and stick to it. 64. Keep a gift closet of sale items you find. Use these items for gifts through the year. 65. Get crafty. Create your own gifts instead of buying whenever possible. 66. Download store apps. These often help save you money on each purchase. 67. “Like” company pages on Facebook. You will be able to download coupons and more. 68. Write companies for coupons. This is a great way to get extra savings! 69. Download money saving apps. 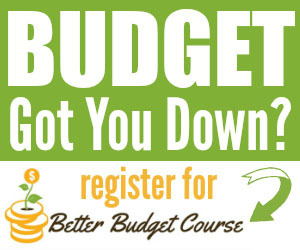 You will save on clothes, gas, and more. 70. Shop yard sales. This is a great way to buy things you need for less. 71. Host your own yard sale. Put any of the proceeds you make in the bank. 72. Shop with a list. This helps you avoid impulse purchases. 73. Price match whenever possible. This saves you money on the purchase and gas. 74. Get a rain check when a sale item is out of stock. This adds up! 75. Avoid over drawing your bank account. Those overdraft fees are so pricey! 76. Print postage from home. Save on the postage and the gas. 77. Patronize shopping sites that offer free shipping. 78. Purchase drug store cosmetics instead of department store. 79. Take advantage of free learning apps and games for kids instead of the $2.99 and up ones. 80. Use Swagbucks and other survey sites to earn free gift cards to shop with. 81. Use a rewards program to save on gas. 82. Use a GPS system to consolidate errands and save on gas. 83. Trade baby clothes with friends instead of buying new. 84. Enjoy a daycare co op with friends to avoid high daycare bills. 85. Use a fan instead of putting on the air conditioning. 86. Put on a sweater instead of turning on the heat. 87. Use energy efficient light bulbs. 88. Seal windows to cut off drafts and higher energy bills. 89. Use a prescription savings card. 90. Opt for generic prescriptions. 91. Ask your doctor for prescription samples. 92. Grow your own produce. 93. Start an indoor herb garden and never buy pricey dried herbs again. 94. Ride a bike for short errands. 95. Use a senior citizen, student, or local discount if it is available on your purchase. 96. Dehydrate meat and make your own jerky. 97. Bathe your pet yourself and avoid the groomer. 98.Take care of yourself and avoid hefty medical bills! 99. Make your own cleaning products at home. 100. Wait for older, less expensive electronic items to go on sale. Josie, in question 21, is this a service any bank can offer, “round up your debit purchases and put the difference in a savings account”?